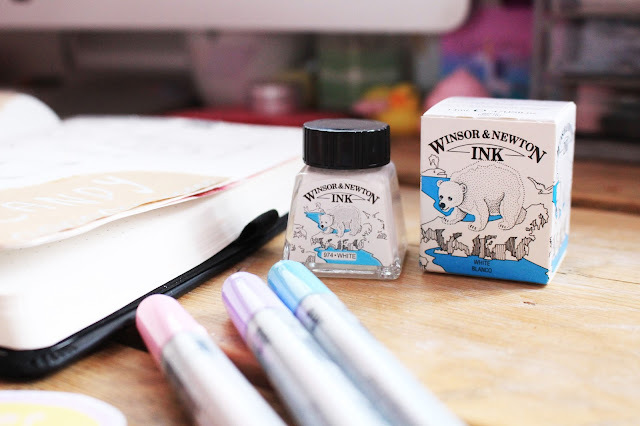 A lot of the time art materials can be rather expensive, especially when you just want to try something out without knowing whether or not you'll get on with it. From experience as an artist, I've never clicked with every single medium I've picked up. I despise pastels and oil paints but get on much better with pens, pencils, watercolours and acrylics. 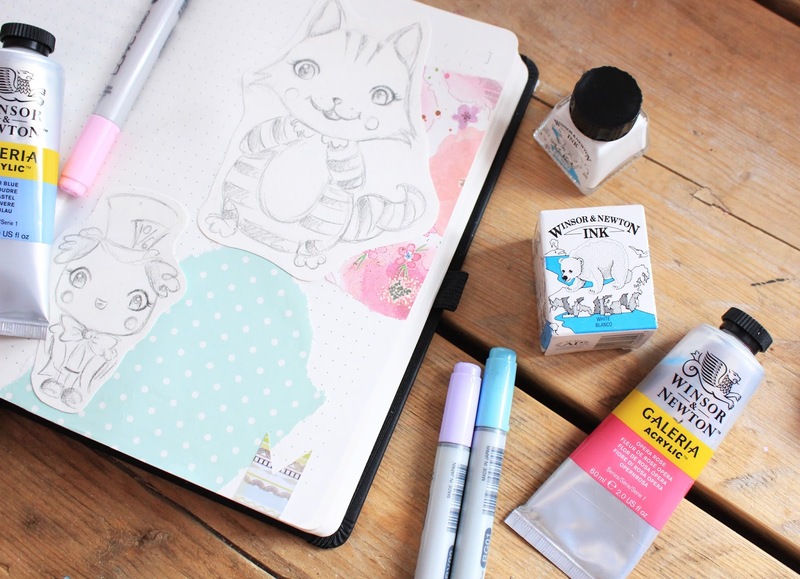 Recently however I've been attempting to experiment a lot more and try new things; an investment I'd like to get my hands on at some point would be a block printing kit so I can make my own stamps then from those make wrapping paper and lots of other things. I went to get one from Hobbycraft a couple of weeks back and about fell over when I saw a basic kit was £30. Not cool. I didn't get one, but it made me go home and think about how I could just go even further back to basics and try something that couldn't be more inexpensive. Coffee! My Dad actually used to encourage me to use tea and coffee in my artwork when I was at school. He was the one who taught me how to make aged looking paper (although he was the one who burnt the edges for me with a match!) and I remember using it a couple of times at Sixth Form but it stopped there. I didn't think to make a little dish of coffee water up to see where it would take me. I remember when I was at uni our tutors sent us to Leicester Market and told us to experiment. We literally sat amongst the stalls for an entire day and were encouraged to use some fruits from the vendors as art materials. This was all well until the artwork went mouldy over the next few days because it was planted into your head that squishing raspberries into your sketchbook was a fantastic idea and it really put me off creating art with food ever again...not that I enjoyed it much anyway! But you shouldn't have any issues with coffee, as long as there's no milk or anything like that involved. All I did was sprinkle some coffee into an old washed out hummous tub (I recycle these for mixing paint - eco thinking!) and decided to revisit a doodle from my art journal which was a pouncing fox. 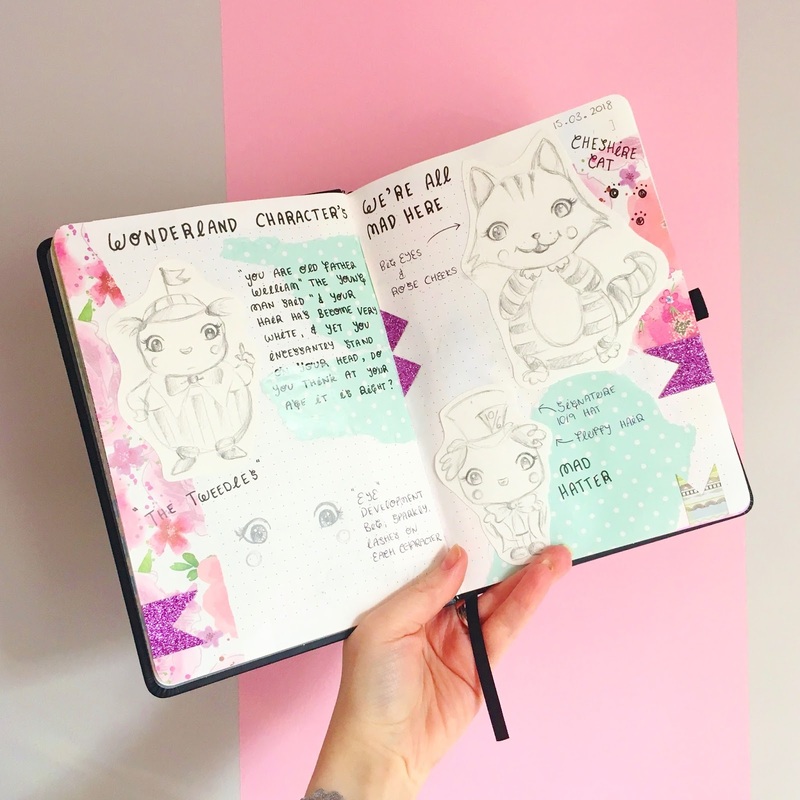 I found that I could get a few different shades of brown just from the one medium and it felt really satisfying just sticking to one colour and seeing what I could create with it. 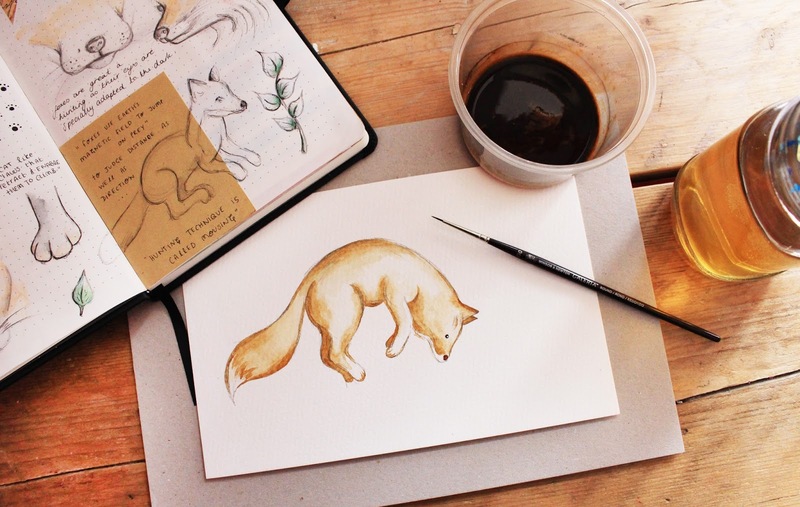 I used my coffee mix on watercolour paper and it behaved more or less exactly the same as watercolours. It was easy to blend, dried fairly quickly so layering was a dream and I was able to just keep everything nice and loose, relaxed and fun. I'd love to keep up with this and see what else I could paint, I'm thinking hedgehogs, bunnies, birds...lots of different wildlife characters because I think the shades would work wonderfully to create a really rustic feel. 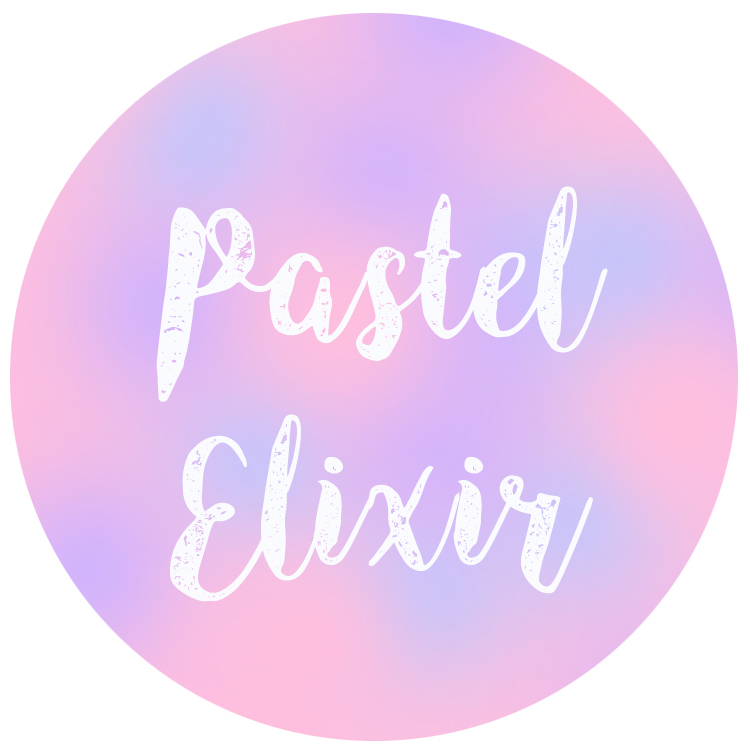 I'd definitely recommend giving this a go because it's cheap, the smell is so relaxing whilst you paint and it's a great way to just do some laid back experimenting for your art journal. Anyone who's a regular in these parts will know I'm a HUGE fan of candles, wax melts, diffusers and nice smelling houses in general. Nothing makes me feel more at home and at ease than when my home smells clean, fresh and cosy. 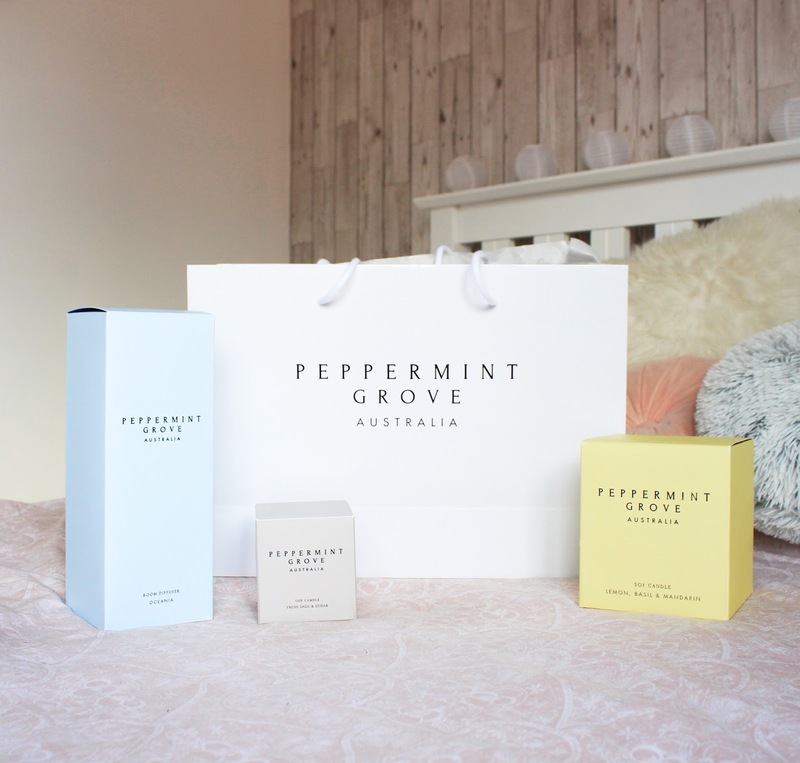 Peppermint Grove* got in touch and asked if I'd like to try out some of their products which have just launched here in the UK. 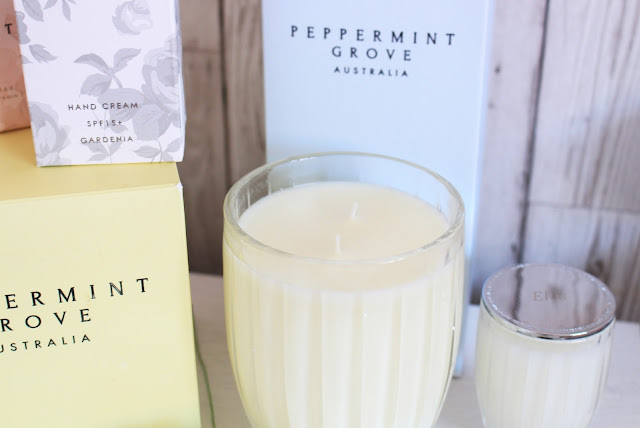 An Australian brand at heart, these guys have been branching out all over the world and I was lucky enough to get my hands on some of their beautifully packaged smellies and to see what I thought for myself. This whole experience was so magical to me because I have without a doubt never had such a beautiful looking and smelling set of candles and diffusers to make my entire home smell like heaven. Unboxing these items was also an experience like no other. Each candle felt like Christmas and the brand even engraved the lids with my name which is a service they also offer on their website when buying a candle. 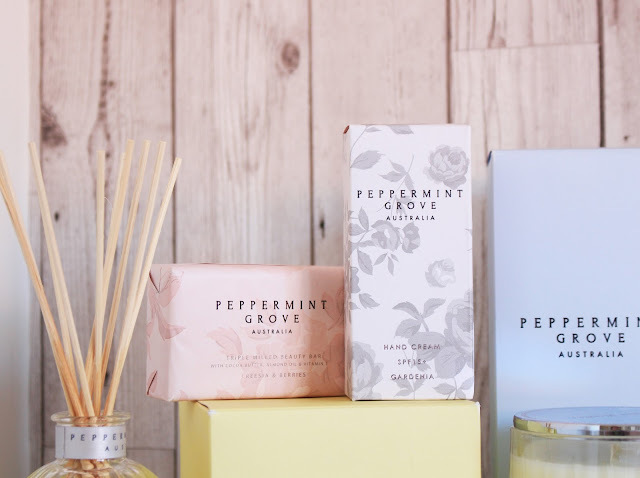 Stunningly put together in their own box and to match the theme of the scent, wonderful pastel shades compliment the incredibly delicate and classy image of the products. The lids have a metal finish to them and complete the glass jars perfectly. The candles themselves come in two different sizes at the moment and even the smallest one is a very decent size and should burn for 20 hours. If diffusers are more your thing, I personally think they look really pretty and they're effective without having to burn anything. 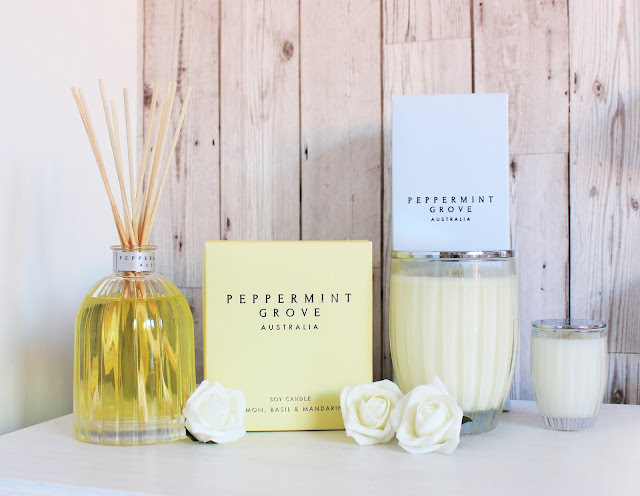 Something I have noticed about other diffuser brands is how fast the oil seems to disappear, but I can hand on heart say my Peppermint Grove diffuser has been out for three weeks now and it doesn't look like even a centimetre has gone from the bottle. 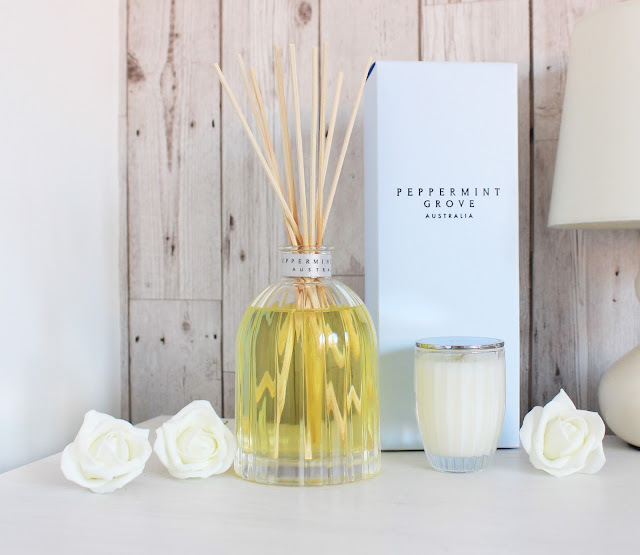 At £24.95 and lasting approximately six months, I think the diffusers are excellent value for money and they come in loads of different scents too, all presented in the same highly polished glass bottles with a sturdy gift box. Included in my samples to try were a hand cream and a bar of soap and let me tell you, just having the soap on the side in my bathroom fills the whole space with this lovely fresh, super comforting scent. Everyone who has been in my bathroom has asked after what the 'lovely smell' is and I get excited every time to tell them all about Peppermint Grove. Better yet, their products are cruelty free with no animal derived ingredients, making them vegan friendly too which as you can imagine, makes me incredibly happy! These would make the most perfect gifts for any candle lover, I know I was beyond ecstatic unwrapping mine and I even gifted one to my Mum who's reaction was priceless. She also has her diffuser out in the hallway at home and it smells divine, a vanilla caramel scent - it's like walking into a fudge shop! 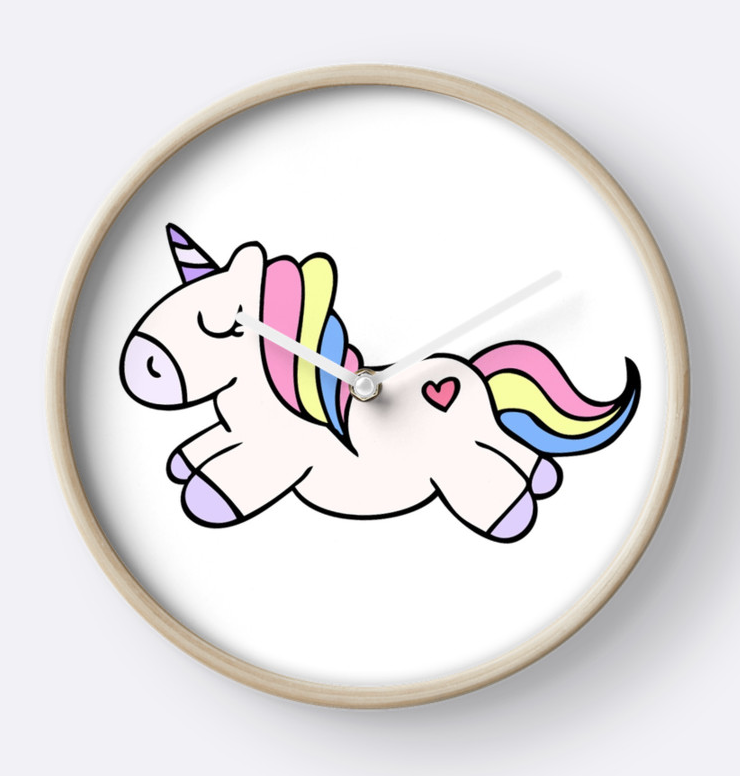 They're also super special both in appearance and quality, so if you have a wedding gift you're looking for or fancy treating your other half (or even yourself, why not?) to something fancy, this is truly a brand I cannot recommend enough. 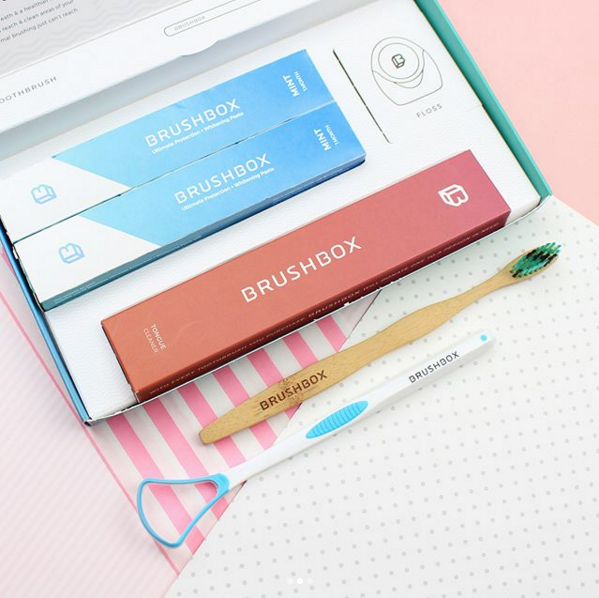 I've been trying out a new subscription box over the last few weeks from the brilliant service that is Brushbox*. Amidst everything else we have to remember as responsible adults, replacing a toothbrush should happen every 2-3 months and I know for sure I haven't been as on it as I should be. You should also replace a toothbrush if you've been poorly, again something else I didn't know! 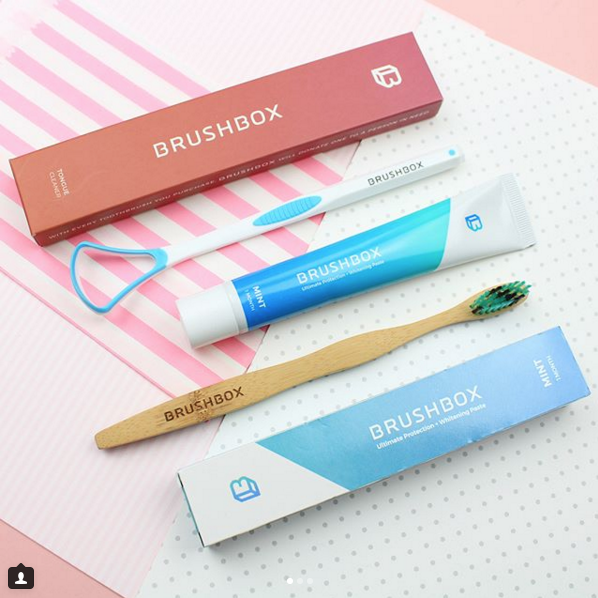 The guys over at Brushbox put together a kit for you every two months and you can choose whether you'd like just a toothbrush and toothpaste, or the whole sha-bang such as a tongue cleaning and floss. I went for a brush, paste and tongue cleaner because all of these items are cruelty free and vegan. The floss contains beeswax right now but after speaking to the brand, they're reworking their formula so that very soon their entire range will be vegan friendly. I also opted for the bamboo toothbrush, the more eco friendly option and this is super comfortable to hold whilst also being gentle enough on my sensitive gums. The box itself comes presented very neatly with little compartments for each item and enough of a supply to last you two months. 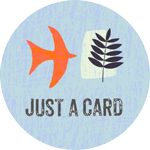 Also a huge bonus is it's letterbox friendly, so no need to worry about being home to take your delivery! If you'd like to try our Brushbox for yourself, they've very generously given me a 50% off code for my wonderful readers which is ELLIS50. I don't earn anything from this code, it's just a little gift from them to you! Since posting this review I have learnt that the pink and purple inks contain shellac, which makes them not cruelty free and not vegan. I will not continue to buy these products and will certainly going forward be a lot more mindful when it comes to buying art supplies. 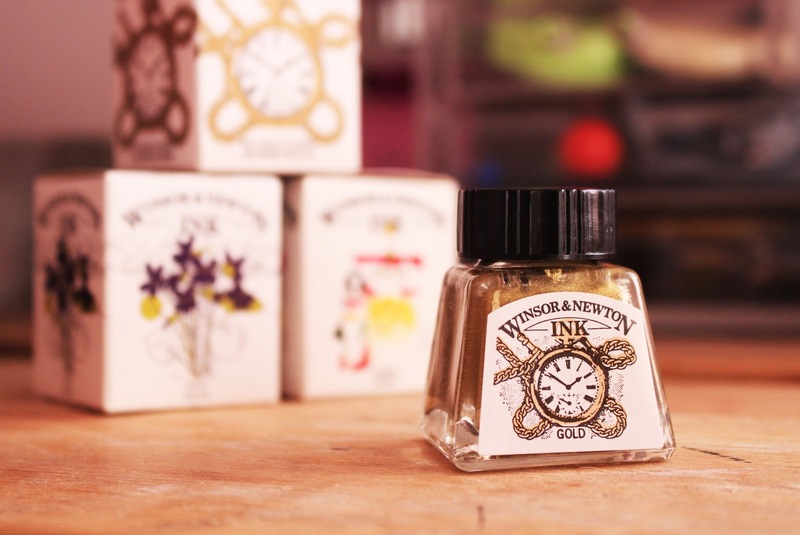 I can't tell you how often I've walked past these adorable little bottles in my go-to art shops and wondered if I'd ever have an excuse to buy them. Usually I see them in The Range and I think more than anything I'm drawn in by the cute size of the bottles and how much they look like little potions. A few weeks ago I got a bottle of my black Indian ink out that I've had since university and it wasn't a posh brand by any means, but I had loads left so thought I'd do some experimenting. I started to mess about doing some text and instantly recognised that this was something I wanted to practice and improve on. 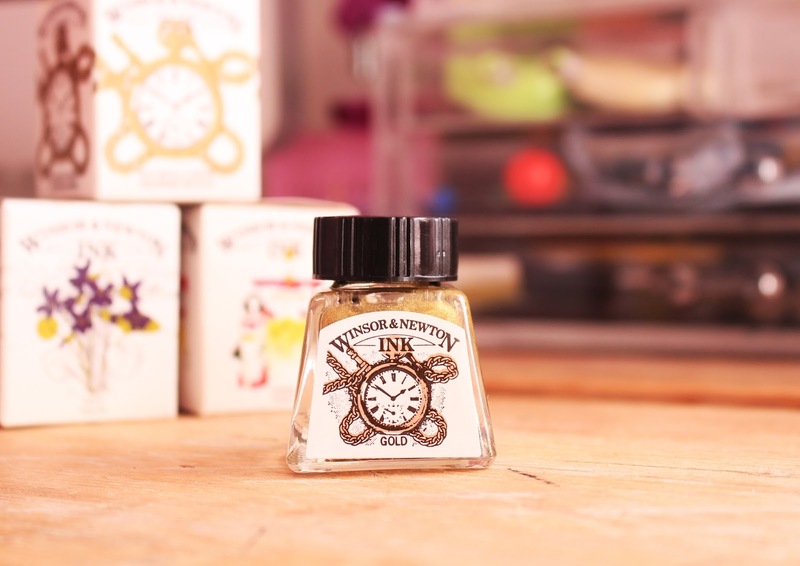 Then it struck me, that I finally had a reason to grab some teeny tiny, posh looking inks from the art shop and start a collection. I usually hop into The Range for art supplies because most things are really cheap and these bottles were only £2.99 each so ya know...I picked up three! 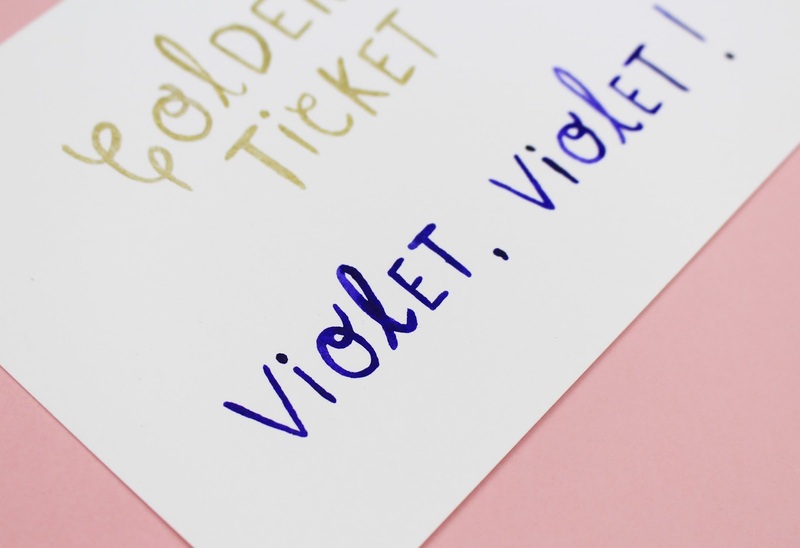 I went for gold, Carmine and Violet which are all so beautiful and rich that I can't wait to get some more on my next visit. Being so affordable, they're definitely something I can build on easily and hopefully have lots of colours in no time. I've been using a paintbrush so far and will be experimenting with pens in the future (and when I find a calligraphy pen!) but I really love how the brush collects a stock of ink within the bristles and you can keep going without having to re-dip into the ink too much. 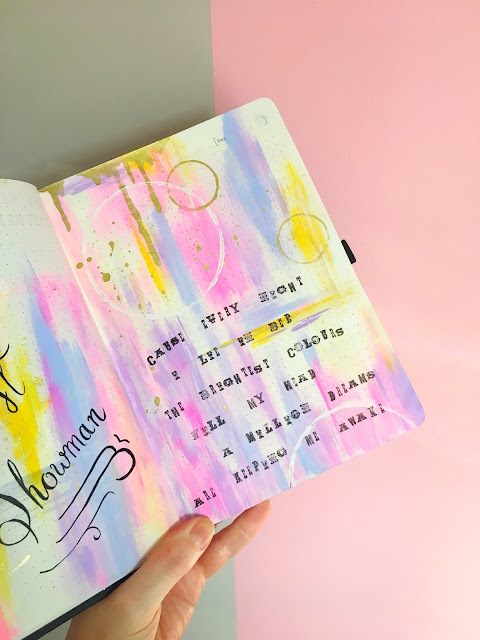 I didn't realise just how striking the pigments would be within each of the shades I chose, even the gold was beautiful and glistening when it caught the light and I didn't expect it to have such a kick to it. 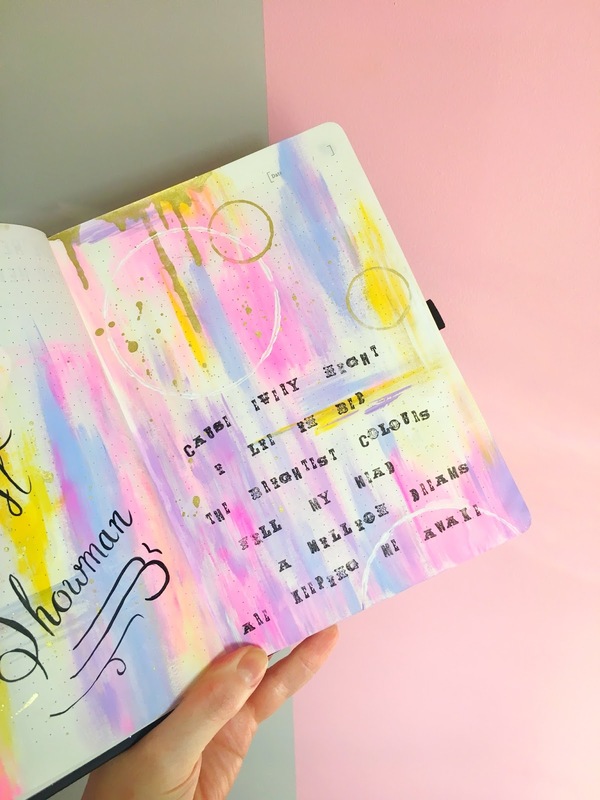 I know these inks will go a really long way because I used hardly any and barely had to refill my brush bristles just to write a couple of words with each colour so overall I'm really impressed with them.